According to new research by Malwarebytes, over the past year, the City of London has been hit by a barrage of ransomware attacks, equating to more than the next ten regions of the UK combined. 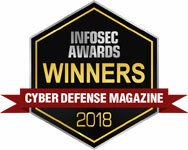 The company’s Data Science and Engineering team analyze threat intelligence for over a year from a ‘representative sample’ and found 10,500 attacks in the Square Mile. To give a better picture, that figure is 670% larger than the next most commonly hit area: Manchester. More alarmingly, that figure is even greater than Manchester, Birmingham, York, Peterborough, Surrey, Essex, Lancashire, Kent and the London Borough of Greenwich combined. The City of London was even found to be hit by more ransomware attacks than that of Hungary, Turkey, and Sweden combined. While this research is alarming, protective defenses are being brought on to help protect the City of London and the United Kingdom entirely from cyber-attacks- the National Cyber Security Centre. The National Cyber Security Centre will be based out of London and will be the authoritative voice on all things information security for the UK. The NCSC will information, support, and educate the UK business community on emerging cyber threats and how to stay safe online in an effort to protect national security and their economic success. As ransomware continues to plague the City of London, it’s important to take preventative measures to help ward off potential attacks. While you may not be able to also stop every attack, with NNT’s nonstop breach detection, your organization will be prepared to spot any unusual change that represents a breach in real time and take action before any harm is done.